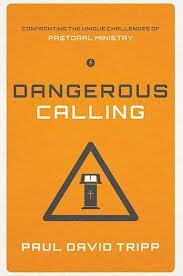 This book was the best book that I read in 2012! Perhaps you have noticed that the books that stand out the most to me are the ones that probe the soul and stretch the mind. I would venture to be as certain as I can to believe that the best books are those that cause you to lean back and seriously contemplate the message the author is working to get across to you. Books that you cannot just zip through without any confrontation of the conscience or personal commitment are the books that will do our souls the best in the end. This is one of those books! Time flies by with an amazing swiftness and I think back to a time when I had just graduated from nursing school. A young twenty-two year old probably should not have been working night shift in a busy surgical intensive care unit that routinely was filled with trauma-victims, neurosurgical calamities, occasional gunshot wounds, and so forth. But I did have a very good support staff around me of some veteran RNs who were very helpful in adding knowledge and skill to what I was lacking. 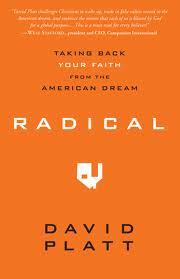 This book comes in at the Number 2 spot of the books that I read in 2012. 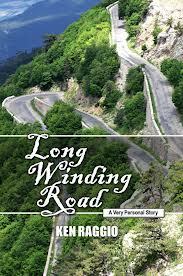 I have known Ken Raggio for close to 20 years now. My first interaction with him was when we were both on the working staff at the Alabama Crusader Camp many summers ago. We would sit up long after all the kids had been secured for the night and talk about the Bible, preaching, and various other aspects of the ministry. Some aspects of this book, I already knew because of our past conversations. I would also add that his wife, Dixie, who passed away in 2003 after a prolonged battle with cancer, was one of the noblest Christians that I have ever met. I don’t know of any lady whose Bible was as well-used as hers was. When I would go preach in Birmingham, the Saturday nights would often be spent at their kitchen table with Bibles open and discussion would be long into the night. It was there that I was exposed to her Thompson Chain Reference that had multiple notes in the margins and so forth. This book was one that I read because of several favorable book reviews that were generated from several blogs that I read. Although I actually read it a couple of years after its initial release (2010) and it is a book that stretches you out of your comfort zone. One of the reasons that this book resonated with me was because of another book that I ran across several years ago by Randy Alcorn (SafelyHome). It was then that I first became acquainted with the house church movement that have become prevalent in countries where there is very limited if any freedom of religion. They go to great measures often in fear of punishment and incarceration to get to church. When they get there it is a very subdued and quiet environment because of the fear of discovery. I now come to the fourth best book that I read this past year, 2012. I read more books this past year than I have ever read because of a reading contest I got into with my boys, Justin and Nathan (who aren’t boys anymore!). By March, Nate had been left in the dust and Justin was reading text books at school. This is the reason that I probably read books with a vengeance this year. Some of them were mindless and nothing more than an outlet to escape but others of them were soul-impacting. The book by Eugene Peterson fell into that category. 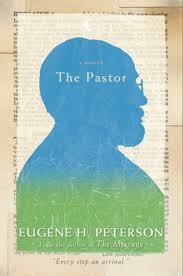 Most people are familiar with Eugene Peterson because of his paraphrase of the Bible called The Message. It is a very good devotional supplement to regular Bible reading because he has a way of using common language to come at Scripture from a little different angle. I must again put this disclaimer out about not just this book but all books: Read with a discerning mind and heart and take the good and toss out the bad. 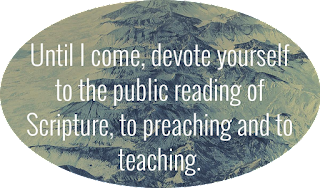 Brother Griffin used to tell us in our classes at TBC that he could learn something from every book he read and every preacher that he heard preach. He could learn some things to do and some things not to do. I believe that !